Mo And Kay Photography are certified by the Civil Aviation Authority with permission for commercial operations (PfCO). We hold a full <7KG Drone license and a £1m Public Liability Insurance with Moonrock. The insurance amount can be raised if needed. Get in touch if you would like to book us for drone videography, stills and general photography. We have over 20 years of traveling experience with some amazing projects in the pipeline which we can bring in to add that specialist touch. We have over 40 hours of flight time and happy to take on difficult projects. We generally charge half and day rates at reasonable market prices, please call to discuss your needs and we can quote accordingly. We have a number of drones to choose from and we are very happy to travel and film abroad. We cater for most events and specialise in weddings, sports, martial arts, tourism and travel. If you would like to see more examples of work, please check the links above or call us for a bespoke viewing. We are proud to be one of CAA's authorised UK Drone Pilots. You can find us as verified members on the Drone Safe Register, Drones Directory and Drone Pilots 4U. I have been following these guys around for quite a while now. They seem to be at all the premier events in Filipino Martial Arts. 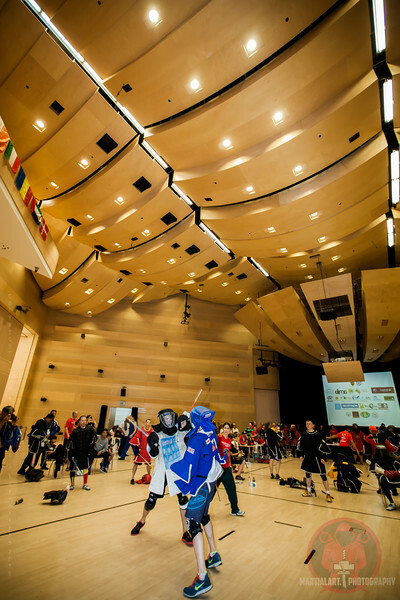 WEKAF World Championships in Hungary, WEKAF events in Great Britain, The stick fighting at The Seni Show at The O2 Football Arena and also at The British Council of Eskrima Arnis Instructors festival in Peterborough. These guys are Mo and Kay Photography who have a web site called premiumphotos.co.uk. These guys are the best at what they do, and that is take photos at all these events that are beautiful memories to take away with you that cannot be repeated. These guys will take full on action shots or just record events happening throughout the day. This is only part of what this talented team will do for you. They will do any event for you from martial arts to weddings to portraits to sunsets. I have seen the pictures that Mo and Kay have done at martial art shows and they are top quality pictures, I have used some of them for my articles and recently some of their pictures were used in the top martial arts magazine in Great Britain, Martial Arts Illustrated. If you want to retain pictures from events that will become beautiful memories to look at in years to come Premiumphotos is just what you are looking for. They will capture all action shots and all the pictures to capture every emotion possible. Do not forget every picture will tell a story. 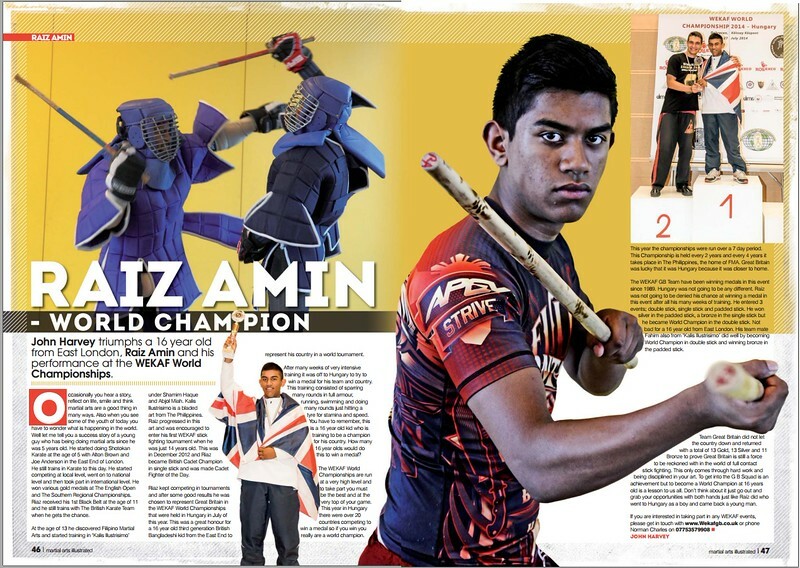 Martial Arts Illustrated uses our Photo's for a double spread. I’ve always been impressed with the pictures of Mo and Kay Photography. In preparation of the recent successful Grand Doce Pares seminar, I thought of approaching the photographer of Mo and Kay. Little did I know, that they are the lovely couple I will be sharing an extra ordinary World Tournament experience. They are both passionate with Martial Arts from empty hand technique to traditional weapon. A likeness of their son, who is also a Martial Artist and Eskrima World Champion! I’ve seen Mo’s extra ordinary work in capturing each moment at the World Tournament, from the action shots and to every emotion. The photographs are telling stories on it’s own. The seminar came and I’m glad that Mo was able to share his skills in each captured moments. Precise and accurate pictures that recorded a memorable event! Mo and Kay Photography offers high quality pictures from major events so that we athletes can worry about other things than capturing the moment. With just a few simple steps, I ordered and received my prints that I can proudly hang on my wall. Extremely fast and efficient service. I had plenty of options to choose from and when I had decided on what I wanted the photos arrived promptly and were of excellent quality.